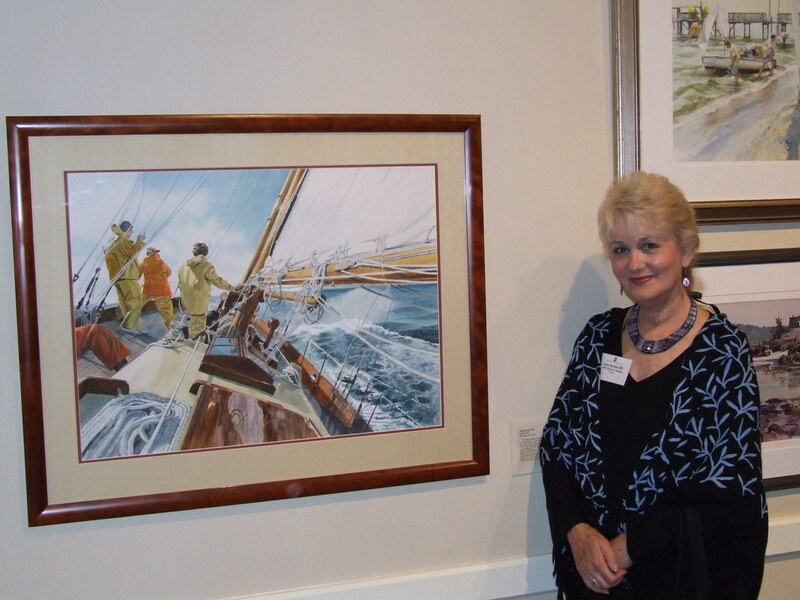 Signature member of the American Society of Marine Artists (ASMA), the Georgia Watercolor Society (GWS), the Coast Guard Artist Program (COGAP), Member of Excellence of the Atlanta Artist Center, and past president of GWS, Anne has become known as the Lake Lanier Artist. 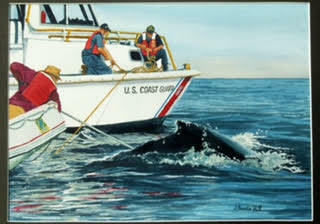 She is currently serving as Vice President of the American Society of Marine Artists. 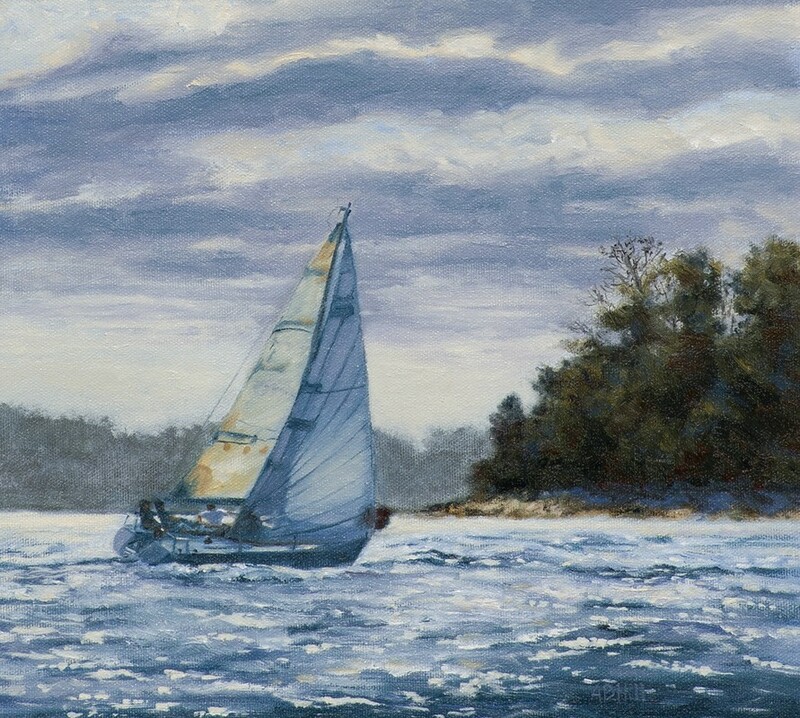 She has painted a series of the Bridges of Lake Lanier, Lake Lanier Holiday cards, and a historical series of the Downtown Square in Gainesville, GA. Her watercolor painting the “BRILLIANT” was accepted for the North Light Book Splash 7, a Celebration of Light, the Best in Watercolor, and Splash Retrospective, 20 Years of Contemporary Watercolor Excellence. 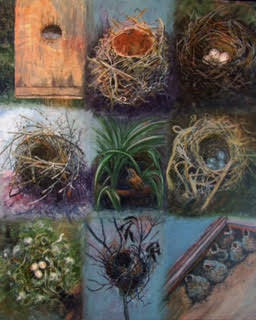 The “BRILLIANT” was also included in the juried 2008/2009 ASMA National Exhibition which traveled to 5 museums. She also paints commission work in acrylics, watercolors, and oil on canvas. She was a consultant for Tara Materials, the world wide supplier and manufacturer of Fredrix Fine Artist Canvas, to develop Archival Watercolor Canvas. 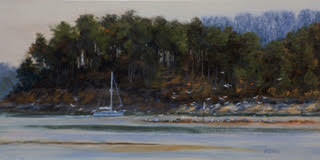 Collectors of her work include Waterfall Country Club (Lake Burton), Eagle’s Landing Country Club (Stockbridge, GA), H.A. Wheeler - former President of Lowe’s Motor Speedway, Kaiser Permanente (Atlanta), United States Coast Guard ,and the International Canoe Federation(Germany).